100€ Vouchers for 80€ Save 20€ in one go with our offer on this voucher! 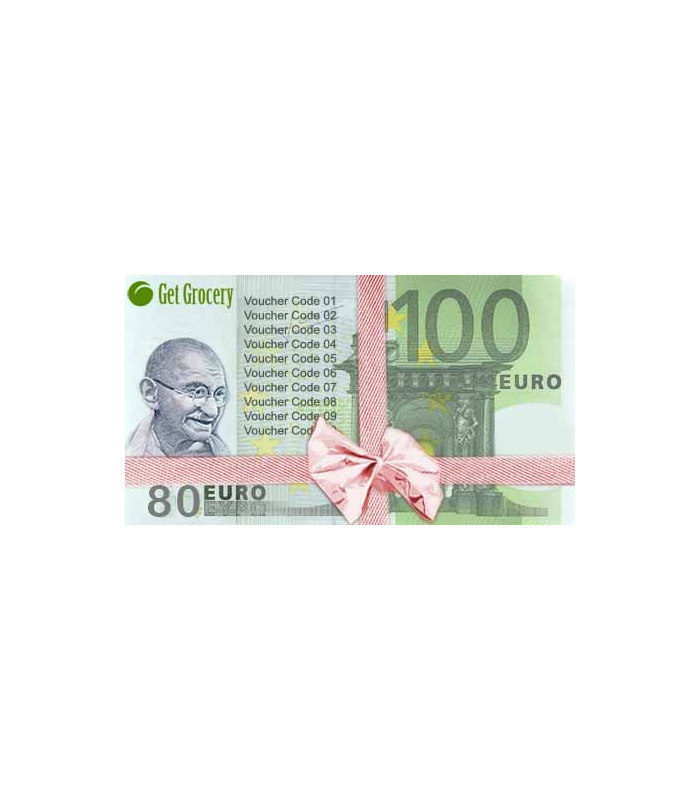 Pay 80€ and get a voucher worth 100€ in return! Conditions 1. After successful completion of order and payment of 80€, you will receive a single voucher code worth 10€ that can be used 10 times. Total value will be 100€. 2. You will receive the 10€ voucher code via email. 3. The voucher code can be used 10 times. But only once per order. 4. It has unlimited validity. 5. The voucher code can be gifted to any other person without informing Get Grocery. Buying this product gets you 80 Grocery Points . Save 20€ in one go with our offer on this voucher! 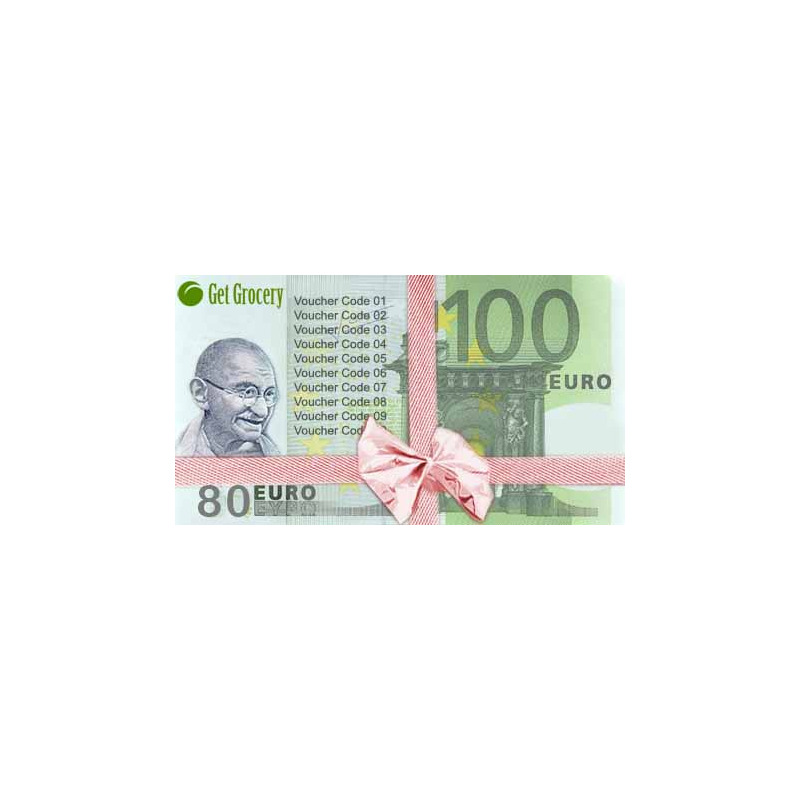 Pay 80€ and get a voucher worth 100€ in return! 1. After successful completion of order and payment of 80€, you will receive a single voucher code worth 10€ that can be used 10 times. Total value will be 100€. 2. You will receive the 10€ voucher code via email. 3. The voucher code can be used 10 times. But only once per order. 4. It has unlimited validity. 5. 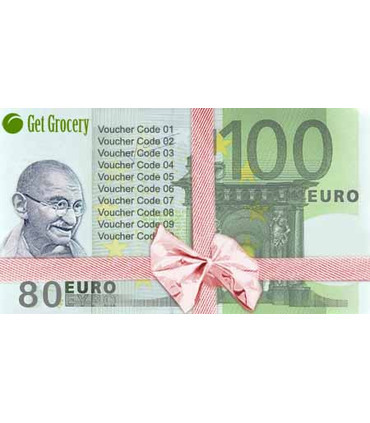 The voucher code can be gifted to any other person without informing Get Grocery.